librarycamp: So what else LibCamp has been up to? So what else LibCamp has been up to? We're working on LibraryFestUK, a national festival for Public Libraries on the 50th anniversary of the Public Libraries Act think SXSW for libraries! The good news is that we are progressing with programming and fundraising - the bad news is that we have been unfairly ignoring LibraryCamp. Like parents paying little or no attention to the ugly older child after the birth of it's beautiful new sibling, Sue and I have shamelessly doted on the festival, going to its meetings and discussing it in hushed tones. We haven't completely abandoned LibraryCamp, indeed one of the reasons LibraryFestUK is possible, is that we know LibraryCamp can stand on it's own two feet. For #LibCampUK14 to continue the synchronicity, serendipity and synergy the previous incarnations have enjoyed we will need a greater reliance on volunteers. There has always been help aplenty on the day of the event, but this year the shout out for volunteers goes out earlier. 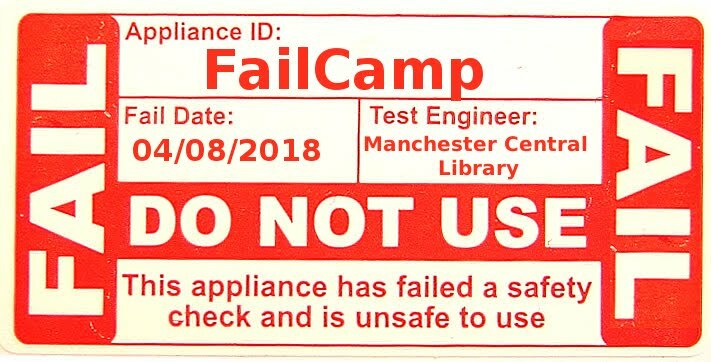 If you think you can bring something to Library Camp please get in touch. So why LibraryFestUK? For me (Richard), Library Camp's biggest failing is the lack of interest from public librarians. I have tried charm, wit, cajoling, sweet talking, blatantly flirting and even swearing at public librarians to draw their attentions to LibraryCamp, with little or no response. Well you can't say I haven't tried, so now I'm to be put in a position where I must forgo my go to excuse of "Volunteer". Where I enter the world of putting someone else's money where my mouth is. To seduce the public librarian I'm going to stop treating them like a librarian and try treating them more like members of the public. I want to blur lines, I want to take the librarian out of public librarian and put the public back into public librari/ans/es. Sue is tired of people talking about the doom-and-gloom of libraries’ fates instead of talking about and demonstrating the transformative presence libraries have on our communities. She wants to organise a one day forward facing festival which celerates, promotes and champions what public libraries have achieved, what they are doing now plus new and emerging innovations for the future. So please folks if you think you can help with either Library Fest or our next camp please let us know and we'll set you a task.